We won’t disagree that Singapore Changi airport is quite a nice hangout. There are a lots of things to do and plenty of upmarket shops and boutiques to while away your time. And if the retail therapies offered by more than 300 shops in the 3 terminals are too exhausting, you can always pause for a cappuccino to recharge. Alternatively, how about a walk in the butterfly garden, a swim in the pool, a relaxing massage or even a fish pedicure? The range of distractions is almost distracting in itself if not for the fact that you do have to catch a plane at some point. So, we hardly ever complain in Singapore but this time round, when in-transit at 12:30am in the morning (not to mention it was actually 3:30am in Melbourne), the only thing I really really really wanted was my own bed on the plane. 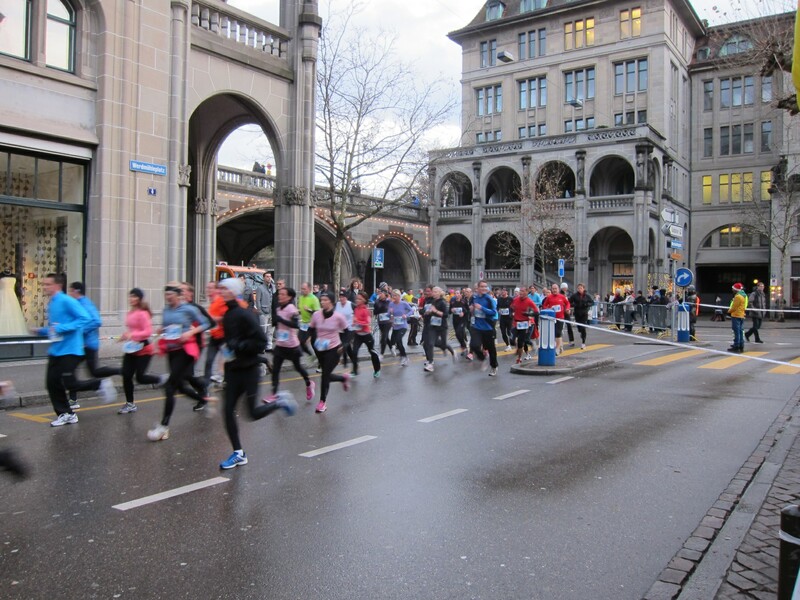 Of course, that would cost much more money than I could poke a stick at so the simple goal was to just get on the plane, go to sleep and wake up happy in Zurich. But like so many of our other trips, there’s always a little hiccup and this time, our flight was delayed to the point where it was declared to be cancelled and another flight scheduled. Our 1:30am flight ended up leaving at 7:20am. You probably can imagine what it was like. The ground crew was initially fielding questions about delay after delay as the departure time kept getting pushed out. Then when they got the news from the engineers that the plane had a fault that could not be repaired easily and that “another” plane had to be called in, they were literally swallowed by a huge wave of passengers with endless questions. But like a well drilled machine, the team swung into crisis mode and within minutes, man-sized boxes of blankets and pillows materialized together with trestle tables of refreshments, snacks and well-rehearsed apologies. 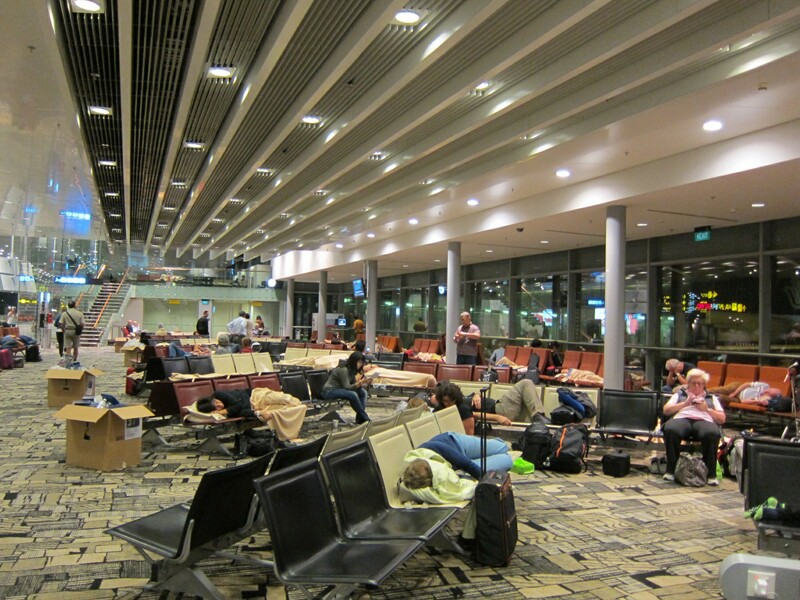 So, for the first time ever, we ended up spending one night at an airport – on the floor of gate A10. 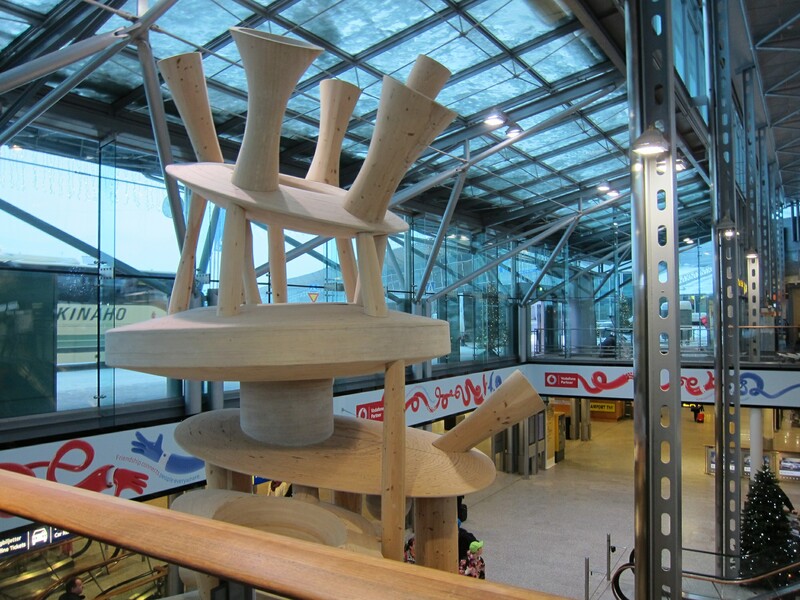 as a result, we also missed our connecting to Helsinki (which Singapore Airlines did kindly rebook for us) but that meant a day out in Helsinki would have to wait for another time. 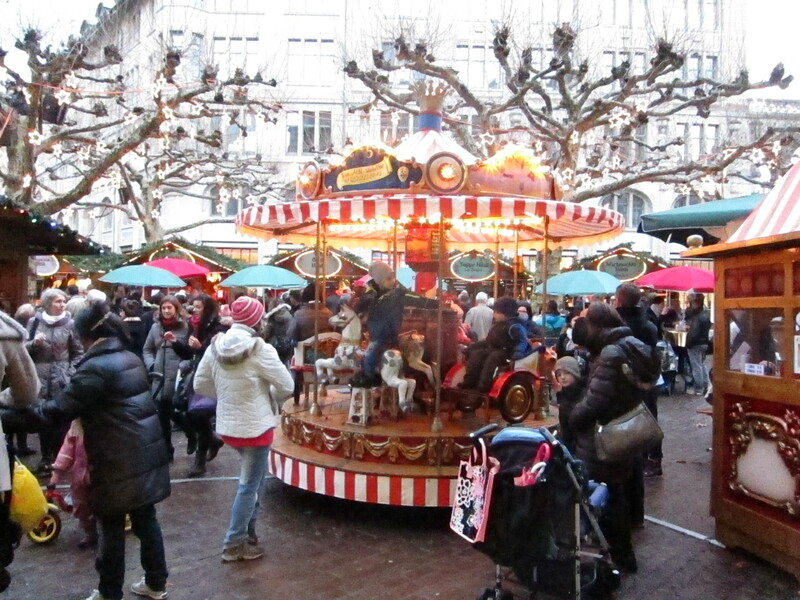 To make the best of it, we treated ourselves to the markets in Zurich instead. When we finally arrived in Helsinki, we were pretty much spent. The ground was covered with snow and for good measure, it was snowing some more. The temperature was a chilly -8°C. But with the wind blowing strongly, it felt a lot colder. By that time, after all the delays, we had been traveling for close to 42 hours. Yes, it was cold but all we could think of was a comfy bed. Our luck in booking the airport hotel couldn’t have turn out better. The hotel was just 5 minutes walk away!! Within the hour, we were all checked-in and snuggled up warm and cosy. It was heaven. 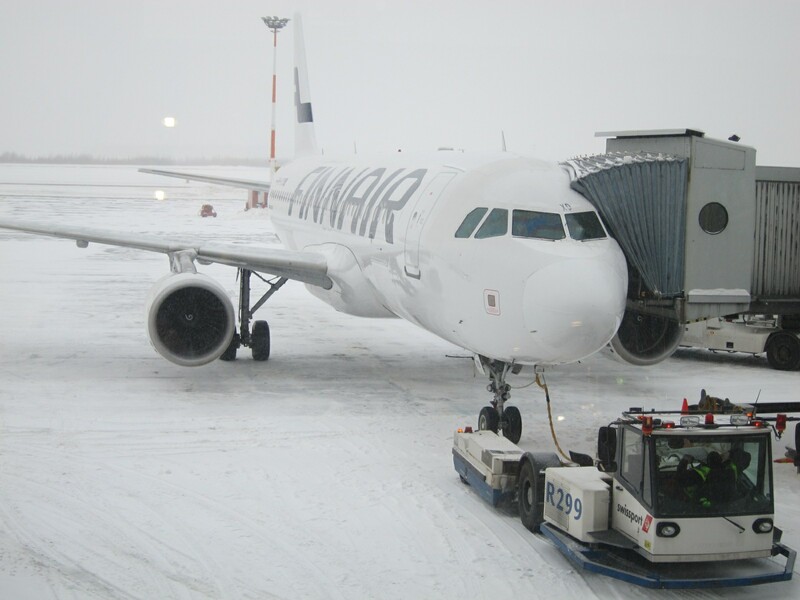 The next day saw us hop onto the only Finnair flight to Ivalo from Helsinki. Despite all the delays, it was a relief to make the flight. Ivalo is the northernmost airport in Finland and when we landed, we were well and truly in the Arctic circle. What does that mean? Well, for one, during the whole time we were there, the mercury did not even get close to 0°C. When we tried to scrape ice off our visor for the snowmobiling, Juoko (the owner of the place we stayed at) told us not to bother. He said the moment we set off, our breath would simply ice up again on the visor. So, it was easier to just make do or ditch the visor if you can stand the icy wind. In fact, he said this was not too bad. He remembers once, a while back in Finland, it got so cold that the temperature dropped below -50°C! Nothing worked at all outside. He said that even smoke from their fires would only rise a couple of metres off the ground and stay there (the smoke condensing before it could go any higher was our guess). So, we really should be happy that it was only a balmy -15°C. Secondly, if we thought there was plenty of snow in Helsinki, there was even more here. No such thing as showers or rain here. It just snows. And they don’t even put out the fires. Fires in winter are just left to burn out by themselves. So, after a relatively easy 50 minutes drive from the airport, we arrive at the Wilderness hotel in Nellim which was situated around Lake Inari. If you want to get away from it all, this is the place to be. With a population of less than 200 people, it’s Finnish wilderness at its best. Lucky we packed a lots of food because there’s no supermarket or even a grocer of any sort. It seems everyone who lives here just drive to Ivalo for their shopping. My sister jokingly told us that our hotel was rated #1 on trip advisor . . . . out of a total of 1 in Nellim! Having said that, I found it kind of charming. It’s converted from a school so if you can imagine single story blocks clustered around a central courtyard, that’s pretty much the “hotel”. And we had an apartment which comes with its own SAUNA . . . Yes, a sauna! This was a first for sure in our travels. After that we were all bundled to a special room where they keep their heavy duty winter clothing for guests. Here we were given one piece suits, boots and gloves. Not much to choose from in terms of fashion here. The options were red or blue with seemingly blue the most popular option. It took a while before we were all done and then we headed back to our apartment for some rest in before our first day tomorrow. Sounds like a great hotel! 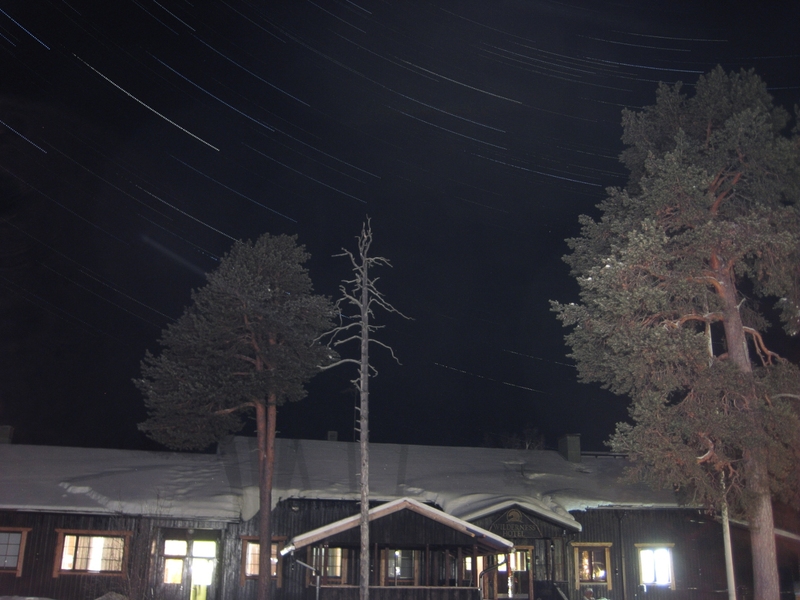 We went inside the Arctic Circle to Levi in Finland about 5 years ago and had temperatures of -37 one day – it was unbearable!! We also sported those fetching red all in one suits – anything to stay warm – but loved it there and the whole atmosphere was incredible. Looking forward to reading more about your trip. Wow, that must have been freezing. I can’t even imagine what that feels like!